In his correspondence preserved in the Beinecke Library, Voynich reveals that he has been introduced to the Jesuits of Villa Mondragone by one "Father Strickland", who lived here. As yet, we have no proof of the existence of this man, which could credited the origin of the manuscript and the purchase to Villa Mondragone. Villa Mondragone is built in 1573-1577 by Cardinal Marco Sittico Altemps (Markus Sittikus von Hohenems; Altemps is an italianization of Hohen Ems). At first Cardinal Altemps enlarges the existing villa Tusculana, a work done in 1571. One of his guests is Cardinal Ugo Boncompagni, who became pope Gregorius XIII a few months later. He suggests building a new villa on the hill overlooking the villa Tusculana, on the Roman ruins of the Qunitili's villa.The Villa is called Mondragone referring to the coat of arms of the family Boncompagni (a dragon). The Villa receives the Pope and his court for a long time. In 1613, Cardinal Scipione Borghese, nephew of pope Paul V, buys villa Mondragone and villa Tusculana, together with other properties of the duke Gian Angelo Altemps, nephew of cardinal Marco. In 1621, at the death of Paul V, the decline of villa Mondragone begins. In 1865, the owner of Villa Mondragone, Don Marcantonio Borghese, signs an agreement with the Jesuits in order to use the Villa as a college for the italian nobility (1). The "Nobile Collegio Mondragone" opens his doors on February 2, 1865. The Jesuits buys Villa Mondragone in 1896. The Nobile Collegio Mondragone stops his activities in 1953. In 1981, The Villa is sold by the Jesuits to the University of Rome Tor Vergata. 2- A Father Strickland in villa Mondragone ? The " Associazione ex Alunni del Nobile Collegio Mondragone " preserves the memory of the years of activity of the college. Its web site (2) gives the proof of father Strickland's existence. Reverend Father Spiritual : Santi Chiavarelli (1911-1912). - and Giovanni B. M. Natalini (1912). Before his promotion as Reverend Father, G. Strickland was Prefect in 1888, 1893 and 1894 (3). (In other respects, we find (4) a " Rev. Joseph Strickland S. J. Litt. Doc. and Phil. Doc." in the resolution of a territorial dispute between Venezuela and British Guayana, in 1896 (5), perharps our Strickland). 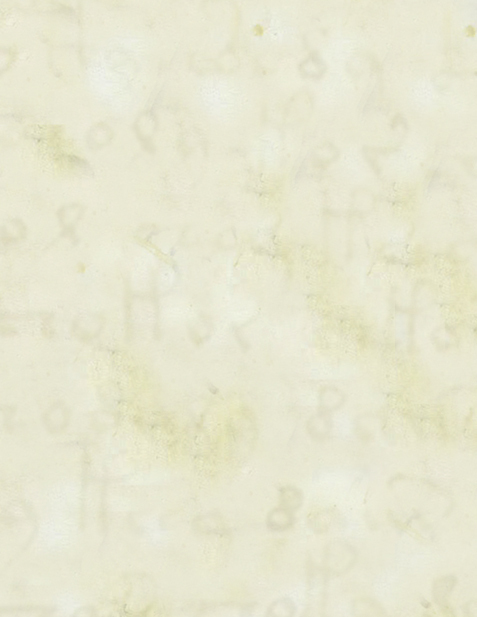 So we may conclude that Voynich's story is corroborated on this point. The Associazione ex Alunni del Nobile Collegio Mondragone gives a list of the old pupils. Amongst them, we find four Strickland Sceberras : Gerardo, Giuseppe and Paolo, entered in the Collegio in 1875 and Carlo in 1877. The Sceberras are an old noble Maltese family. Giuseppe Strickland belonged to this family by his mother, Luisa Bonici Mompalao (1833-1907), grand-daughter and heiress of Sir Nicola Sceberras Bologna (6), 5th Count della Catena. Indeed, the Sceberras' family tree (7) indicates a " Rev. Joseph Strickland, Chaplain to the Forces, 12th Brigade, 4th Division (1864-15th July 1917) ". In other respects, we knows, from the Association of ex-alumni, that Father Giuseppe Strickland was Prefect of Nobile Collegio Mondragone in 1888, 1893 and 1894, then Reverend Father in 1903 and during the period 1912-1916. Beyond the name of Strickland Sceberras, dates are consistent : born in 1864, prefect for the first time in 1888 (at 24 years old), Reverend Father till 1916, Chaplain to the Forces in 1916 and 1917, death at 53 years old. Joseph had three brothers (8), Gerald, born in 1861, Paul born in 1862 and Charles, born in 1867. Gerald, the older one, became Lord Strickland, 6th Count of Catena, Baron Strickland of Sizergh (9) (he succeeded to his wife's grand-father as Count of Catena by decision of H.M Privy Council on the 6th of February 1882). 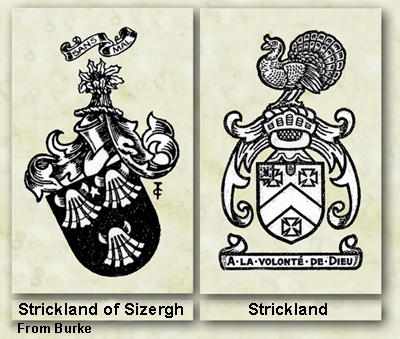 The title of Baron Strickland of Sizergh comes from the castle of Sizergh, near Kendal, in the English Lake District, where the family had been settled for more than 700 years. As mentioned above, the four brothers studied in Collegio Mondragone. This picture, from www.collegiomondragone.com, has been taken in 1875 or 1876, before Charles' arrival. Transl. 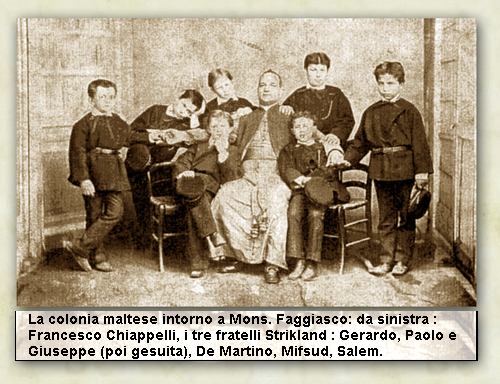 : " Maltese colony with Mons. Faggiasco : from left: Francesco Chiappelli, the three brothers Strikland (sic): Gerardo, Paolo and Giuseppe (later Jesuit), De Martino, Mifsud, Salem". The Commonwealth War Graves Commission corroborates Joseph Strickland's death in 1917 (10) .The Debt of Honour Register is as follows : " In Memory of THE REV. JOSEPH. STRICKLAND, Chaplain 4th Class, attd. 12th Bde. 4th Div., Army Chaplains' Dept., who died on Sunday 15 July 1917. Age 53. Son of Capt. Walter Charles Strickland (R.N. ), and Nobile Luisa Bonici Mompalao, his wife. Addolorata Cemetery Malta. Ossuary of the Jesuit Fathers ". Joseph Strickland died probably during the Flanders offensive (7th June - 10th November 1917). This enlistment in the British Army is intriguing for a Frascati's Jesuit, working in Nobile Collegio. It probably shows the strength of the link between Joseph and his father's family. In 1858, Luisa Bonici Mompalao married Walter Strickland (1824-1867), captain in the Royal Navy. Joseph's father is from the old British landed gentry (county of Westmorland). One of Joseph's distant relation (11), Sir Walter William Strickland (1851-1938), 9th baronet, was perhaps a Voynich's acquaintance and the missing link between Voynich and Joseph. In 1912, Voynich is 47 years old and W.W. Strickland 61 years old. Sir Walter Strickland had libertarian, socialist and atheist ideas. He helped Guy Aldred, anarchist and communist, founder of the Glasgow Anarchist Group (12). As related by Albert Meltzer (13) : " After the publication of Hyde Park in 1938 support for Aldred in London fell off and he had burned his bridges in London and Glasgow, but then an extraordinary chance ended his days of poverty. Sir Walter Strickland, a millionaire whose family practically owned Malta, had during the First World War taken to him and was disgusted with the British Government after the Versailles Treaty. In acknowledgment of the newly created State of Czechoslovakia, the first fruits of League of Nations liberal idealism, Strickland became naturalised Czech (1923), though he never went to that country. In 1938 Strickland died and left a fortune to Aldred, who promptly formed the Strickland Press, bought a hall, bookshop and machinery and proceeded reprinting all his old pamphlets, before actually getting the money. Then the Strickland relatives brought a suit saying the will was invalid. Strickland had said in his will he left the money to Aldred "for socialist and atheist propaganda", illegal under Czech law. There was a complicated legal case which ended as such things usually do, with the money in the hands of the lawyers. Aldred, used to defending his own cases personally and handling courts with ease on matters of obstruction and sedition, found himself outgunned among the moneyed lawyers ". W.W. Strickland wrote some books and translated some works of the Czech poet Viteslav Halek. 1- Il Giornale, Roma Cronaca, 17-12-2002, paper for the exhibition " La Villa Spedita ", on December 2002. 3- The Association quotes Giuseppe "Stricldand ", very probably a typing error. 5- "Documents and maps on the boundery question between Venezuela and British Guyana from the Capuchin archives in Rome with a brief summary of the question by the Rev. Joseph Strickland S. J. Litt. Doc. and Phil. Doc." Rome, printed by the Unione Cooperativa Editrice, Via di Porta Salaria, 28 A, 1896. 8- And a sister, Theresa, dead young. 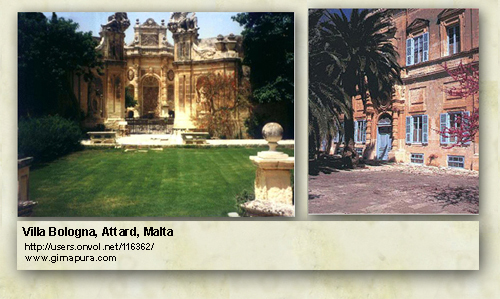 9- Sir Gerald Strickland studied in Malta and Britain before Italy. He was Governor of the Leeward Islands in the West Indies (1902-1904), Tasmania (1904-1909), West Australia (1909-1913) and New South Wales (1913-1917). He was Leader of the Opposition in Malta (1921-27). After the 1927 elections, he became Head of Ministry (the fourth Prime Minister between August 1927 and June 1930).He died in 1940. http://www.doi.gov.mt/EN/islands/prime_ministers/strickland_gerald.asp, from Maltese Biographies of the Twentieth Century (1997), Michael J. Schiavone and Louis J. Scerri. 12- "Politically, Aldred engaged in such diverse causes as that of Indian independence, the distribution of birth control literature, and anti-war and anti-conscription agitation during both world wars. At various points between 1910 and his death in 1963, Guy Aldred edited five Glasgow based anarchist periodicals". http://gdl.cdlr.strath.ac.uk/redclyde/rc132.htm. 13- Albert Meltzer, I Couldn't Paint Golden Angels, Sixty Years of Commonplace Life and Anarchist Agitation. 1996 AK Press. Metzer (1920-1996) met Guy Aldred in Glasgow.